Get Into The Good Stuff! We always crave the good stuff, don't we? Whether it's the best cut of meat, the finest of wines, or gourmet chocolate, we really like the very best, if we can possibly get it. Your body is the same way. It's longing for good solid nutrition that will provide all the vitamins, minerals, and nutrients it needs to produce healthy cells and fight off invading parasites. Our body needs whole food to stay in peak condition. Whole foods are foods that are in their most natural state. Raw fruits and vegetables, whole grains, seeds and nuts fall into the whole food category. Unfortunately, it seems that our lifestyles have become so busy that we tend to eat a lot of processed and packaged foods that are pretty much void of any real nutrition. Our cells are literally starving to death! Is is any wonder we suffer from so many ailments? Do you seem to pick up every cold or flu that is going around? Do you ever wonder why? How can your body fight off infections, diseases, viruses, and bacteria, when it is barely getting enough "real" food to stay alive? You may say, "Angie, there's no way I'm starving! I've got the fat to prove it!" That's exactly my point. A genuinely healthy body is going to be able to process good food efficiently so that you don't have an abundance of stored fat getting in your way and impacting your health. I'm not at all saying we need to be stick thin, so don't misunderstand me. A healthy weight is one where we are genuinely comfortable (and not just saying so to justify ourselves). 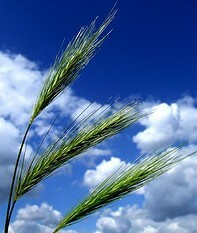 We are able to accomplish our daily tasks without becoming completely puffed. Are you giving your body the good stuff? It's getting harder and harder to even get the good stuff these days. Even when we decide we are going to do our best to eat whole foods, the odds are stacked against us. Much of the soil is depleted because of poor farming practices. We have to worry about herbicides and pesticides on our vegetables and grains, hormone injections in our meat, etc. Most of the time we don't really know WHAT we are eating! You may try to buy organic foods, which are better than most if you are sure you're getting what you pay for. Or maybe you can grow your own. My dad had a fantastic garden this summer and I thoroughly enjoyed the produce. But what about through the winter months? It's not easy, is it? Have you ever tried juicing? I've got a marvelous Champion juicer that has a motor that won't quit. Juicing is one of the best ways to give your body the good nutrition that it needs. Did you know that your body can absorb and process a much greater amount of nutrients from juiced fruits and vegetables than when you eat them raw? It's true! When eating raw whole foods, the body has to spend a good bit of energy and effort breaking down the food into a form that it can absorb the vitamins and minerals that it contains. When the food is juiced, the breakdown is done by the juicer so the body can spend all it's energies processing and absorbing the nutrition it provides. I know -- most people these days can't be bothered with juicing. I admit, I don't much like doing it either. It's time consuming, it's messy, and it's really not that inexpensive. One of the best things I discovered this year is the pleasure of whole food supplement powders. After I did a complete colon cleanse using Herbal Fiberblend, I decided to try some whole food supplement powders to help boost my immune system help build healthy new cells. I started out using AIM's Garden Trio. I really enjoy the Garden Trio. It's a package of three separate whole food supplement powders that I chose to mix together and use as a daily nutritional drink. 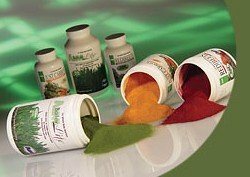 The powders are made from the juice of beets (Redibeets), carrots (JustCarrots), and green barley (BarleyLife). Those three juices together pack quite a nutritional punch. I was thrilled with how quick and easy it was to mix the dried juice powder with water and enjoy an afternoon boost. No fuss, no mess! Now I have absolutely no excuse for not giving my body the good stuff. 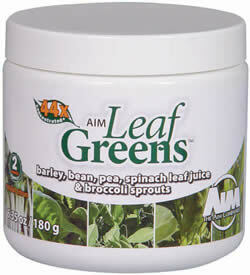 A few months ago, AIM brought out a new product called, Leaf Greens. I was a bit skeptical about trying it at first. I figured it couldn't really compare to the Garden Trio's Barley Life. Nevertheless, I gave it a try. Believe it or not, I think I like the Leaf Greens even more than I liked the Barley Life! The taste is more palatable, but it is actually 6 x's more potent and rich in nutrients. I guess now when I say, "Break out the good stuff," I can only be referring to Leaf Greens. Leaf Greens is a combination of the young barley grass, spinach leaf, faba bean, and field pea. These grasses have been juiced and then dried at low temperatures to lock in the live enzymes using a special method developed by the AIM company. Do yourself and your body a favor and try some whole food supplement powders. You'll love the ease of use and the added energy and health benefits you receive. and start getting into the good stuff! And to all you Americans -- Happy Thanksgiving! If it's an option you would like to consider, I highly recommend the SiteBuildIt program I've been using. I had no experience whatsoever, but they take you by the hand and help you build a genuinely viable business. If that sounds good to you, check them out.